They’re big, bad and bristly, and they’re tearing up parts of Saskatchewan at an alarming rate. Brook has created a map of rural municipalities where wild boars have been spotted and tells the CBC sightings have risen dramatically, but adds it's difficult to know exactly how many boars are in the province. 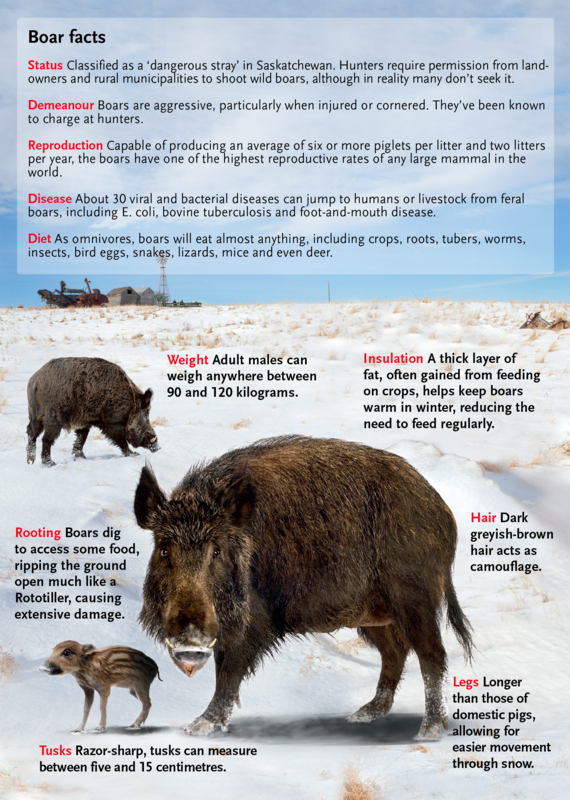 This graphic explains some key features of the porky pests, and the impact they’re having on the local habitat.